Hailing from Austin, Texas, Thieves is a pop-punk quartet formed in early 2009. Over the past six years, the band has broken into the pop-punk scene by continuously putting out new music and touring the US both as headliners and as a part of top festivals such as SXSW, the Vans Warped Tour, and Fun Fun Fun Fest. 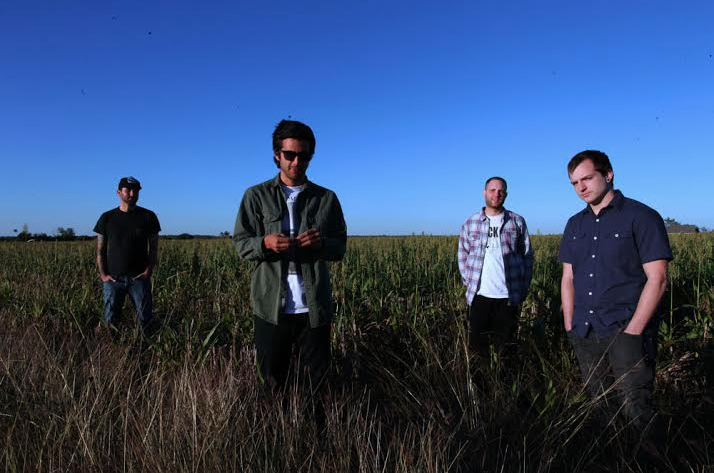 Most recently, Thieves released their EP Colorchange. The band joined forces with Beau Burchell (Saosin) to deliver their most complete and mature work to date; the record has gone on to receive an array of critical acclaim across alternative music press outlets. Being the ambitious and determined band that they are, Thieves entered the studio over the winter to work with pop-punk heavyweight producer Sam Pura along with Beau Burchill; Thieves is on a quest to to find their footing amongst the emerging pop-punk elite when the album hits shelves later this year. 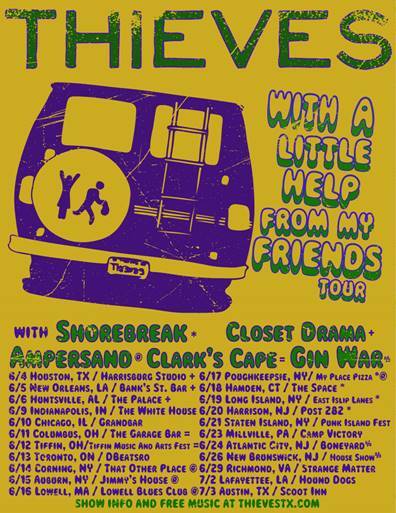 Ahead of their new music, however, Thieves will be setting out on the month-long With A Little Help From My Friends Tour where they will be headlining; Shorebreak, Closet Drama, Ampersand, Clark’s Cape, and Gin War will all be joining the tour in support of Thieves. You can catch Thieves while they are on their East Coast tour or even when they pop into Canada on June 13th! If you won’t be seeing Thieves live this summer (tickets can be purchased here), then be sure to check out Colorchange and look out for their upcoming album that will be released in the coming months. Additionally, be sure to watch their latest music video for “Smoke Signals” below! This entry was posted in Uncategorized and tagged album, albums, ampersand, austin, austin music, bands, clark's cape, closet drama, colorchange, concerts, gin war, LP, LPs, pop punk, punk, quartet, shorebreak, Texas, texas music, thieves, tour, with a little help from my friends, with a little help from my friends tour. Bookmark the permalink.